In addition to his speaking engagements and training activities Daan van Beek is regularly asked to advise companies in the areas of Business Intelligence, Data Science, and Performance Improvement. Daan is a 100% independent Business Intelligence consultant with more than 20 years of experience in the field, and he has worked for a variety of clients, among them Air France KLM, Interpolis, Phoenix Group, the municipality of Rotterdam, and the oldest real estate bank in the Netherlands. 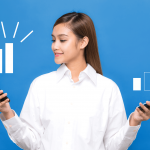 Defining your Business Intelligence strategy: helping you to focus on the right Business Analytics goals in order to contribute to a better organizational performance. Daan uses the concept of the intelligent organization to sort out the right answers; in doing so, he ensures that all investments are in line with corporate goals and match your IT strategy. 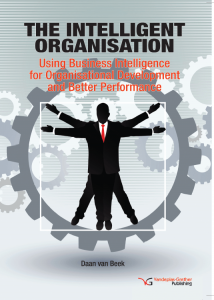 Business Intelligence consulting: helping you to organize Business Intelligence itself better. His specialties: creating awareness at the board for the need for (advanced) Analytics, setting up Business Intelligence Competency Centers, dealing with management to realize engagement between the BI team and (senior) management, and finding the 1-million-dollar insights. Selecting the right Business Intelligence software and assisting in requirements analysis. He is the author of the Business Analytics Survey and he knows what the strengths and weaknesses of the different solutions are. With this survey at hand, Daan is able to give directions in a few days instead of a few weeks. Daan is curious what you think. Interested in hiring Daan as a consultant? If you want to work with Daan as a consultant, please contact us. We love to help you getting started with daan van beek as a consultant.